This past March 11 (coincidentally the day after my birthday) marked the thirtieth anniversary of the movie Stand and Deliver (1988). Stand and Deliver was a groundbreaking film in many ways. It was one of the earliest American films to be directed by a Latino (Ramón Menéndez), written by Latinos (Ramón Menéndez and Tom Musca), and to feature a primarily Latino cast. What is more, unlike many films made in the Eighties and earlier, Stand and Deliver did not rely on stereotypes. Stand and Deliver was based on the true story of Jaime Escalante, a Bolivian immigrant who taught calculus at Garfield High School in East Los Angeles, California from 1974 to 1991. Mr. Escalante had enormous success teaching calculus to his students. By the time of his last year teaching at Garfield High School, 570 students were taking calculus. It was in 1984 that recent UCLA film school graduate Ramón Menéndez read an article on Jaime Escalante in the newspaper. He turned to his friend Tom Musca to serve as producer and co-writer on a film about Mr. Escalante. It would take the two of them six months to persuade Jaime Escalante to sell them to the rights to do a film about him. A number of different production companies turned down Messrs. Menéndez and Musca, seeing the film as not being commercial enough. The two men finally received a $12,0000 grant from the PBS anthology show American Playhouse. With the script completed, Ramón Menéndez and Tom Musca were able to hire Edward James Olmost to play the role of Jaime Escalante. At the time he was playing Lieutenant Martin "Marty" Castillo on the TV show Miami Vice. They were also able to hire Lou Diamond Phillips who was fresh from playing Ritchie Valens in the 1987 film La Bamba. Andy Garcia, who had recently appeared in The Untouchables (1987), was hired to play the small role of Ramirez from the Educational Testing Service. The rest of the cast was largely filled by young unknown actors. At the point that the film was cast, it was still titled Walking on Water. Initially meant for public television, Stand and Deliver was financed through a variety of sources, including the National Science Foundation and the Atlantic-Richfield Corporation. It was after the film was shown at the Mill Valley Film Festival that Stand and Deliver became a theatrical release. Warner Bros. picked up distribution for the film and released it to theatres on March 11 1988. Stand and Deliver received largely positive reviews from critics. It also received one Academy Award nomination. Edward James Olmos was nominated for Best Actor in a Leading Role. Stand and Deliver swept the Film Independent Awards, winning the awards for Best Feature, Best Director, Best Male Lead (for Edward James Olmos), Best Supporting Female (for Rosanna DeSoto), Best Supporting Male (Lou Diamond Phillips), and Best Screenplay. It won the Imagen Foundation Award for Best Film, and the Nosotros Golden Eagle Award for Best Film as well. At the Young Artists Awards the film's young cast won the Michael Landon Award. In 2011 Stand and Deliver was selected for for preservation in the National Film Registry. Given that it was originally meant for public television, it should come as no surprise that Stand and Deliver made its television debut on the PBS series American Playhouse on March 15 1989. Today Stand and Deliver is widely regarded as a classic and there should be little wonder. Ramón Menéndez and Tom Musca not only wrote an script that is free of ethnic stereotypes, but one that is also inspiring without being overly emotional or schmaltzy. The film also benefits from some impressive performances. It is little wonder that Edward James Olmos received an Oscar nomination for his role as Jaime Escalante. He fully committed himself to the role, even having his hair thinned and gaining 40 pounds to more resemble. Mr. Escalante. Lou Diamond Phillips also gave a good turn as Angel Guzman, the rebel who must balance his school studies with life on the streets. The young cast, many of them newcomers to film, also gave solid performances. Ingrid Oliu did well as Lupe Escobar, who must help raise her siblings while trying to study calculus. Will Gotay is impressive as Pancho, a young mechanic who struggles with calculus more than some of the other students. Stand and Deliver marked the film debut of Vanessa Marquez, and it was an exceptional debut for the then 18 year old actress. Vanessa played Ana Delgado, the exceptionally bright, but shy student who wanted to go to medical school despite her father's insistence she work at his restaurant. In preparation for her role, Vanessa sat in on Jaime Escalante's class for several days. In real life Jaime Escalante taught at Garfield High School until 1991. Afterwards he taught at Hiram W. Johnson High School in Sacramento, California. Sadly, in 2010 Mr. Escalante developed cancer. Vanessa Marquez, other cast members from Stand and Deliver, and former pupils helped lead fundraising efforts to help with his medical bills. He died on March 30 2010 at the age of 79. Stand and Deliver was a pioneering film in many respects. It was one of several feature films made by Latinos in the late Eighties that defied stereotypes that had existed in Hollywood for decades. It was one of the earliest American films to be directed, written,, and produced by Latinos, and to feature a primarily Latino cast. It is also an excellent film with a great script and filled with great performances from its cast. It should be little wonder that Stand and Deliver is now regarded as a classic. It was on September 30 1958 that the TV series Naked City debuted on ABC. The show would prove to be very innovative. Along with Dragnet it was one of the earliest police procedurals to air on American television. It also had what was a very popular format from the mid-Fifties into the Sixties. Naked City was a semi-anthology series, essentially a show with continuing characters whose episodes often centred on guest stars rather than the show's main characters. Other examples of semi-anthology shows are Wagon Train, The Fugitive, and Run for Your Life. Naked City would also lead to another popular semi-anthology series of the Sixties, Route 66. Naked City was developed by writer Stirling Silliphant and based upon the 1948 movie The Naked City. The movie The Naked City was in turn inspired by the 1945 book Naked City by Weegee, which collected Weegee's photographs of New York life. Originally Naked City centred on the same characters as had appeared in the feature film: experienced veteran detective Lt. Dan Muldoon (played on the show by John McIntire) and Detective Jimmy Halloran (played on the show by James Franciscus). As in the film, the two detectives worked in New York City's 65th Precinct. Naked City was one of the earliest TV shows to be shot in location, with the bulk of the show being shot on the streets of New York City. The show was produced by Herbert B. Leonard, who also served as its narrator in its first season. In its first season, Naked City was a half-hour drama and its original title was The Naked City. Even as the season unfolded the show would undergo one dramatic change. John McIntire was not particularly happy working on the show and wanted to return to his ranch in Montana. It was then in the episode "The Bumper" (which aired March 17 1959) that Lt. Muldoon was killed off when a mob hitman caused Muldoon's car to crash with an oil truck. This made Naked City the first show to ever feature the on-screen death of one of its main characters (previously characters on TV shows usually died off-screen between season, an example being Jean Hagen's character on Make Room for Daddy). Lt. Muldoon was replaced by Lt. Parker (played by Horace McMahon). The April 28 1959 episode "Four Sweet Corners" would serve as the template for the show Route 66. It centred on George Maharis as Johnny Gary and Bob Morris as Link Ridgeway, two ex-servicemen who decide to travel around the country. A backdoor pilot for a show that would be called The Searchers, Herbert B. Leonard was unable to find a network interested in the concept. It was decided that the title The Searchers was unsuitable for the prospective show as it could lead to confusion with the 1956 John Ford movie of the same name. The concept was then reworked as Route 66, which debuted on CBS on October 7 1960. Unfortunately, Naked City suffered from disappointing ratings in its first season and ABC cancelled the show at the end of the season. Fortunately, one of the show's sponsors, tobacco company Brown & Williams, as well as the show's production staff, still had faith in the show. They successfully lobbied ABC to return the series to the schedule as an hour-long drama now titled Naked City. The hour long version of the show debuted on October 12 1960. The hour long version of Naked City would see some changes to the show's cast. While Horace McMahon remained as Lt. Parker, James Franciscus as Detective Halloran was replaced by Paul Burke as Detective Adam Flint. Nancy Malone joined the cast as Detective Flint's girlfriend Libby. While the show was now expanded to an hour, its format very much remained. It was still a police procedural and semi-anthology that often focused on its guest stars. As an hour-long drama Naked City proved much more successful than it had as a half-hour show. It ran for three more seasons with the new format. Throughout its run Naked City was critically acclaimed. It was also nominated for several Emmy Awards and won a few. In 1959 it was nominated for Best Dramatic Series - Less Than One Hour. In 1961 it won the Emmy for Outstanding Achievement in Film Editing for Television and was nominated for Outstanding Program Achievement in the Field of Drama. In 1962 it was nominated for Outstanding Program Achievement in the Field of Drama, Outstanding Continued Performance by an Actor in a Series (Lead) for Paul Burke, Outstanding Performance in a Supporting Role by an Actor for Horace McMahon, and Outstanding Directorial Achievement in Drama for Arthur Hiller. That year it won the awards for Outstanding Achievement in Cinematography for Television and Outstanding Achievement in Film Editing for Television. In 1962 it was nominated for Outstanding Program Achievement in the Field of Drama, Outstanding Single Performance by an Actress in a Leading Role for Diahann Carroll, Outstanding Continued Performance by an Actor in a Series (Lead) for Paul Burke, Outstanding Performance in a Supporting Role by an Actress for Nancy Malone, and Outstanding Achievement in Film Editing for Television. That year it won the award for Outstanding Achievement in Cinematography for Television. Naked City went onto a fairly successful run in syndication and is still seen occasionally today (it recently aired on ME-TV). It is a available on DVD and it has been included on streaming services such as Hulu. The show's continued popularity led to a 1998 TV movie, Naked City: Justice with a Bullet, meant as a reboot of the show. It starred Scott Glenn as Lt. Muldoon and Courtney B. Vance as Detective Halloran. It did not lead to a new series. Naked City was a truly revolutionary series. Alongside Dragnet, it was one of television's earliest police procedurals. It was also one of the earliest shows to utilise the soon to be popular semi-anthology format. It was one of the earliest shows to be shot on location. It featured the first on-screen death of a major character on show, a move that caused a bit of an uproar at the time. Naked City also featured top-notch writing, direction, editing, and cinematography, as well as some sterling performances from its leads and guest stars. It should be little wonder that Naked City remains respected to this day. Geoff Emerick, the legendary audio engineer who worked with The Beatles, The Zombies, Badfinger, Elvis Costello, and others, died yesterday, October 2 2018, at the age of 72. The cause was a heart attack. Geoff Emerick was born on December 5 1945 in London. He began working as an assistant engineer at EMI when he was only 15. On his first day of work he was placed under the supervision of another assistant engineer, Richard Langham. On his second day of work Richard Langham was assigned to audio engineer Norman Smith, who was the engineer on The Beatles' earliest recordings at EMI. Geoff Emerick was then present at the band's very first recording sessions. As an assistant engineer Mr. Emerick worked on a number of The Beatles' early recordings. He also served as an assistant engineer on such artists as Judy Garland. He served as the primary engineer on Manfred Mann's single "Pretty Flamingo". When Norman Smith became a producer, it was Sir George Martin who requested Geoff Emerick as their new chief engineer. The first Beatles album on which he served as chief engineer was Revolver. He would go on to serve as the band's chief engineer on the albums Sgt. Pepper's Lonely Hearts Club Band, and Abbey Road. Prior to Abbey Road he left partway through the recording of The Beatles (better known as The White Album), becoming frustrated with the tensions between the various Beatles. In the Sixties Geoff Emerick also served as chief engineer for such artists as Peter & Gordon, The Zombies on their album Odessey and Oracle), Tomorrow, and Jackie Lomax. It was in 1970 that Geoff Emerick became a producer, producing the Badfinger album No Dice with Mal Evans. In the Seventies he served as the chief audio engineer for such artists as Badfinger, Stealers Wheel, Fanny, Tim Hardin, Paul McCartney & Wings, America, Robin Trower, Nazareth, and Cheap Trick. He produced such artists as Badfinger, Robin Trower, Split Enz, and Elvis Costello & The Attractions. In the Eighties Mr. Emerick served as chief engineer for such artists as The Little River Band, Cheap Trick, Paul McCartney, Ultravox, Supertramp, and Art Garfunkel. He produced albums for such artists as Elvis Costello & The Attractions, Nick Heyward, Jackie Leven, Tommy Keene, and Echo & The Bunnymen. In the Nineties he served as chief engineer for such artists as Split Enz, Paul McCartney, Ultravox, UFO, and Robin Trower. He produced such artists as Elvis Costello & The Attractions and Robin Trower. In the Naughts he served as chief engineer for such artists as The Aerovons, The Syrups, Nellie McKay, Johnny Cash, Paul McCartney, Jeff Beck, and Cheap Trick. He produced such artists as Nellie McKay, The Syrups, Elvis Costello, and Tim Finn. In the Teens Geoff Emerick served as chief engineer for such artists as Paul McCartney, Chris Bell, and Dweezil Zappa. 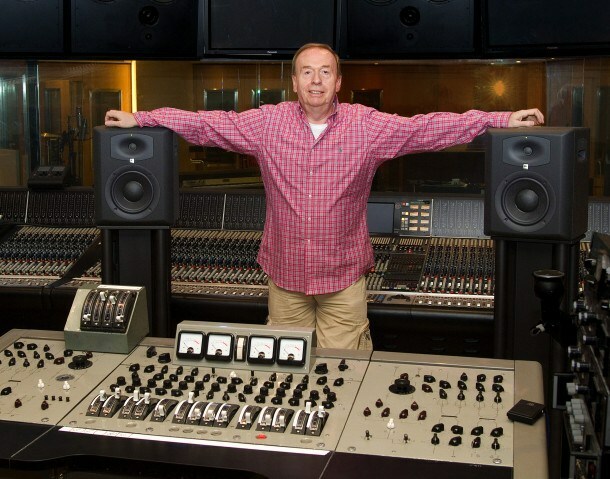 Geoff Emerick was definitely one of the greatest audio engineers of all time. He often developed sounds that had never been heard on vinyl records before. It was Mr. Emerick who came up with the ethereal sound of The Beatles' "Tomorrow Never Knows (the first Beatles song on which he was chief engineer) and Mr. Emerick who assembled the carnival sounds for The Beatles' "For the Benefit of Mr. Kite". Although best known for his work with The Beatles, Geoff Emerick would do groundbreaking work for artists from Badfinger to Elvis Costello. In addition to being a legendary audio engineer, Geoff Emerick also seemed like an awfully nice guy. I can't say that I knew Mr. Emerick, but I interacted with him on Instagram and other social media outlets. He was always liking posts from Beatles fans and giving them shout-outs. It was clear that he was proud of his work with The Beatles and other artists. And while Mr. Emerick has often been accused of favouring Sir Paul McCartney over the other Beatles, one would never know it from his social media posts. Geoff Emerick was someone who was truly appreciative of his fans. This Friday night Turner Classic Movies is airing three movies starring legendary British movie star Margaret Lockwood. Miss Lockwood was the top actress in the United Kingdom during World War II and has a legion of fans on both sides of the Pond to this day. Starting at 7:00 PM Central/8:00 PM Eastern on Friday, October 2 2018, TCM will air Night Train to Munich (1940), The Lady Vanishes (1938), and The Wicked Lady (1945). 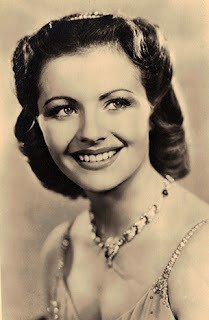 If you a long-time Margaret Lockwood fan you will want to tune in. If you have never seen a Margaret Lockwood film, you will definitely want to watch TCM this Friday. Not only are Night Train to Munich, The Lady Vanishes, and The Wicked Lady probably Margaret Lockwood's best known films, they are also possibly her best films. Every October Turner Classic Movies shows horror movies in celebration of Halloween. This October is no different and as usual a number of those movies were produced by Hammer Films. Here is a schedule of the Hammer Films airing on TCM this month. I also have to point out that Carry On Screaming! (1966) airs on October 29 at 7:00 PM Central/8:00 PM Eastern. 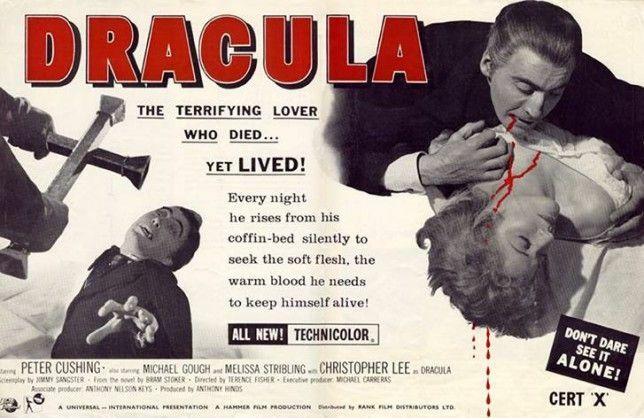 Although not a Hammer Film, it is a very good parody of Hammer Films that was released when Hammer was still producing its classic films.